Yesterday, the seven Horseback Reads authors discussed why they've started up their website. Today, we look at the writing process, and whether being part of a collective makes a difference to how you write. Read on too for what's each author is planning next - the great thing with a collective is that there is always something! 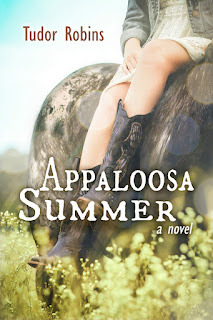 To mark this interview, Tudor Robins' Appaloosa Summer ebook is free (today - 19 November 2015 - only!). You can find it on Amazon UK, and Amazon.com. It's a great read (I reviewed it here), so don't miss out. JB Do you think the website will make any change in the way you write, or in the way you publicise your books? Mara: It hasn’t changed the way I write … yet. That might come in time. What I love about this group is how often we stay “we.” We publicize the group and each other, which is such a breath of fresh air, and I think we’re stronger for that. A library of authors? A paragraph of authors? I talk to Horseback Reads. All of them. Horseback Reads is a website set up by Tudor Robins, Maggie Dana, Kate Lattey, Barbara Morgenroth, Kim Ablon Whitney, Mara Dabrishus and Natalie Keller Reinert. I've read, and thoroughly enjoyed, books by most of them, with Barbara Morgenroth and Mara Dabrishus still bubbling away on my to be read list. Writing tends to be something solitary, so I was intrigued by the idea of a group that exists for horsy books, having myself been a member of writing groups that I felt had nothing very much to do with how I actually worked, let alone thought. Today, we talk about what the website is for, and how it came about. Come back tomorrow for part two of the interview, which talks about the writing process and how being in a group affects it. Another good reason for coming back tomorrow is that Horseback Reads are kindly doing a freebie of one of their author's books to coincide with part 2, so don't miss out! 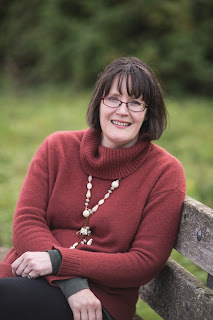 The lovely Vanessa Robertson has interviewed me over on her blog, and you can read it here.